Look classy in this beige colored casual printed rayon kurti. The kurti is stitched in rayon fabric and has 3/4th sleeves on a printed base in contrast to red brown and black color. 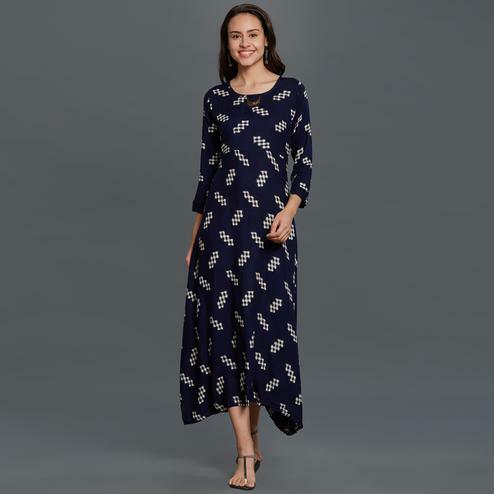 The tassels detailing makes it look so charming.The kurti is perfect for a casual hot summer day and will make you feel comfortable all day.You can wear this at casual days out,office,meetings,shopping day out the kurti can be paired with your choice of contrasting colored leggings or churidar. Pair this with minimal accessory and you are good to go.